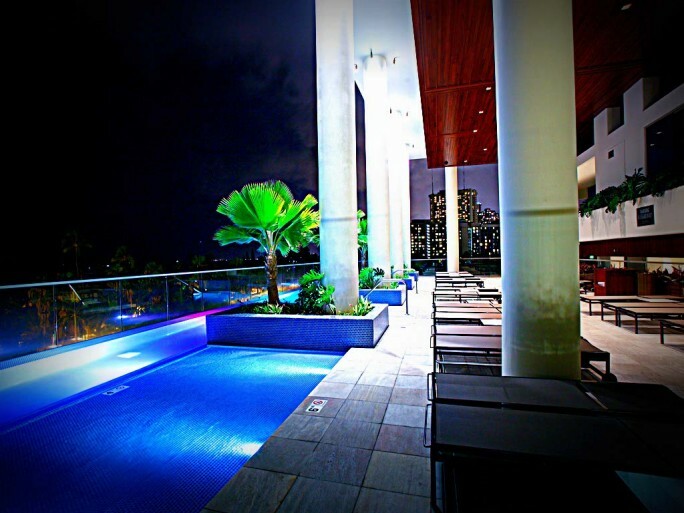 Thirty-eight stories high and overlooking the emerald waters of Waikiki Beach, Trump Hotel Waikiki is a spectacular sight to behold. 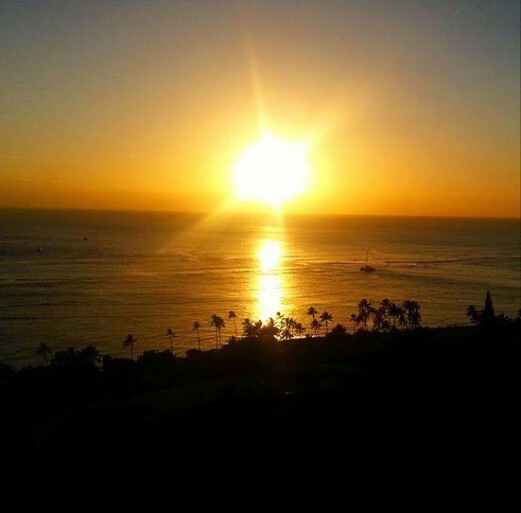 Surrounded by the Pacific Ocean, Diamond Head, the Honolulu skyline, and the magnificent Ko`olau Mountains, Trump is 5 shades of awesome. 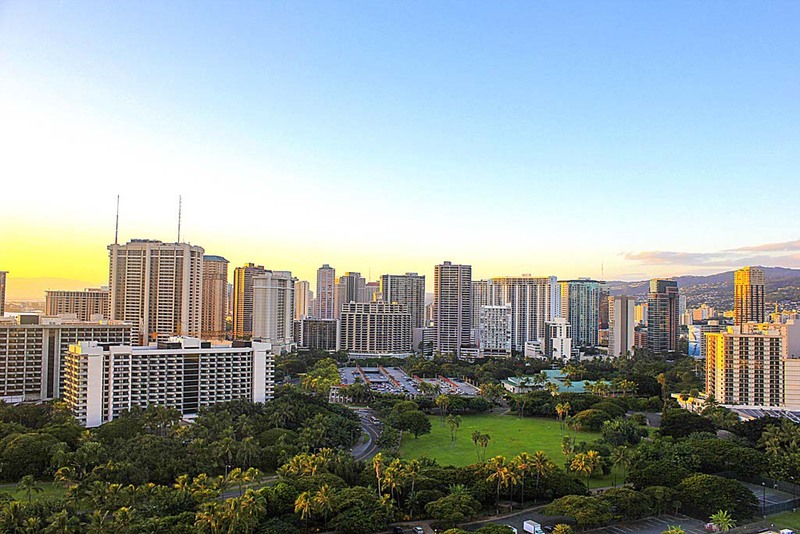 Rather than trying to explain the views, I captured my favorites in photos.From sunrise to well beyond sunset, here are the views from Trump Waikiki. 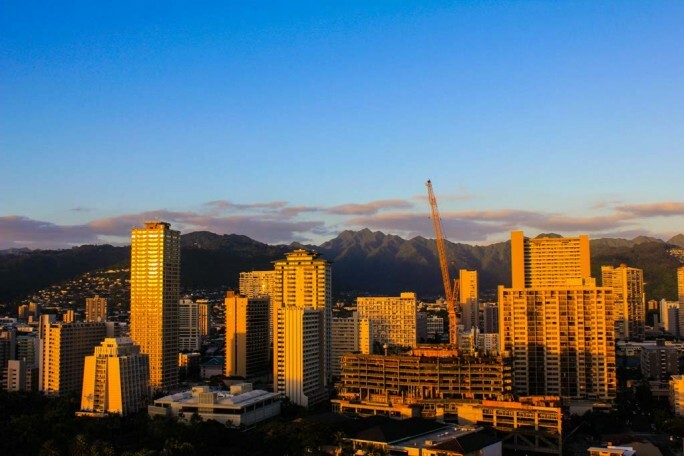 From the 24th floor of Trump Hotel Waikiki, the Ko`olau Mountains frame my view. The rest of Waikiki surrounds me and is within my sights. When the sun starts to set, the sky is alive with color. It’s not so bad from the infinity pool on the 6th floor either. 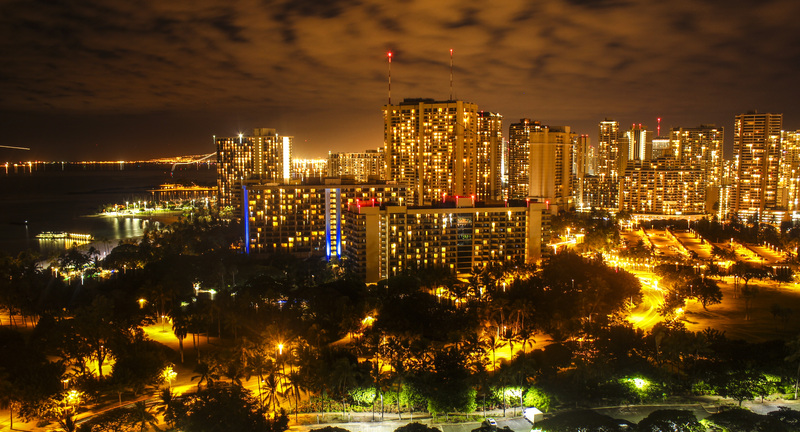 At night, the city is alive with golden hues and moonlit mountains. Each hotel that I visited in Oahu has something impressive to offer, but the views from Trump Waikiki can’t be beat.